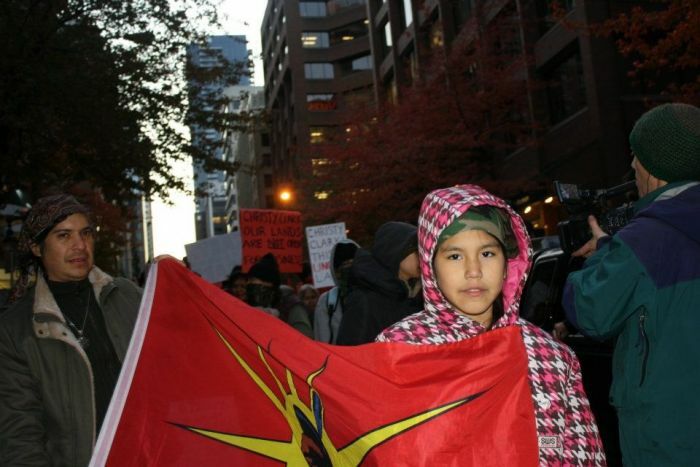 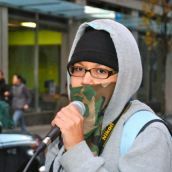 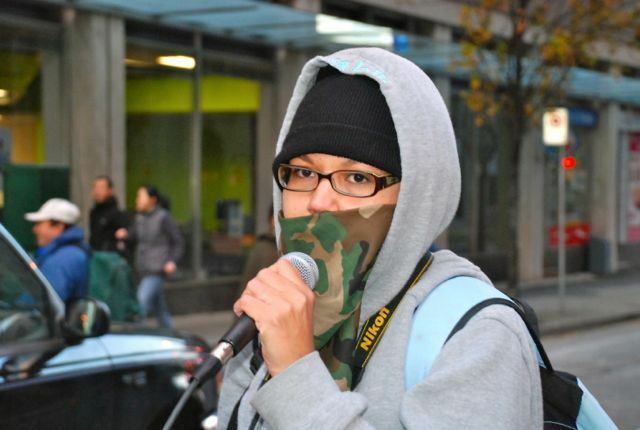 PHOTOGRAPHY about Indigenousposted on November 7, 2011 by Harsha W.
November 6, 2011 Unceded Coast Salish Territories- Indigenous communities from across the province gathered in Vancouver, Unceded Coast Salish Territories this weekend to oppose destructive mining and pipeline practices. 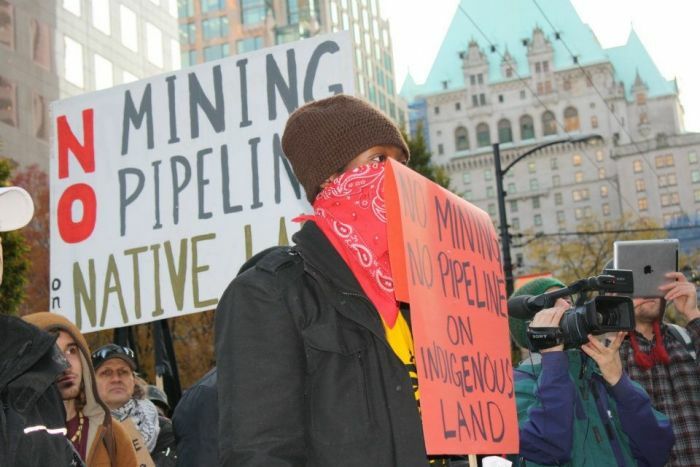 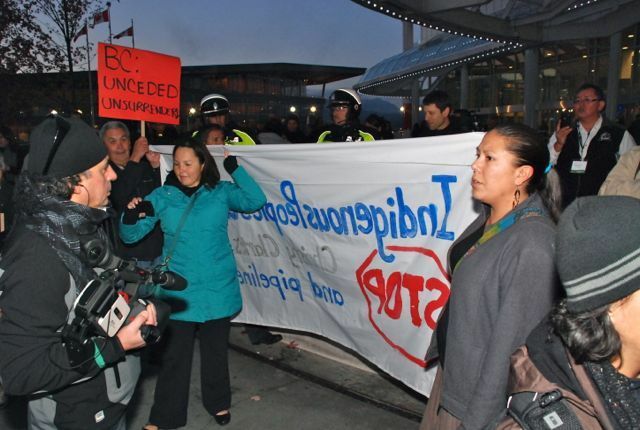 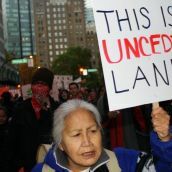 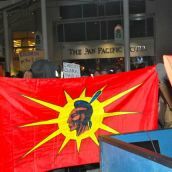 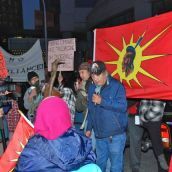 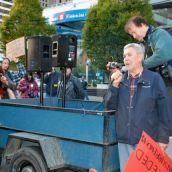 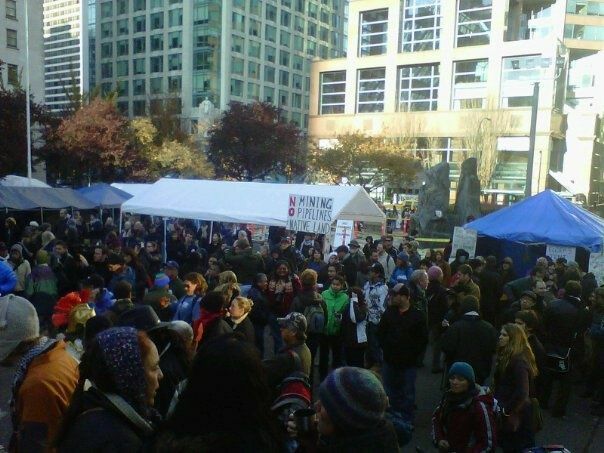 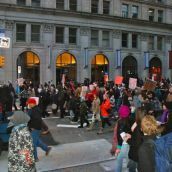 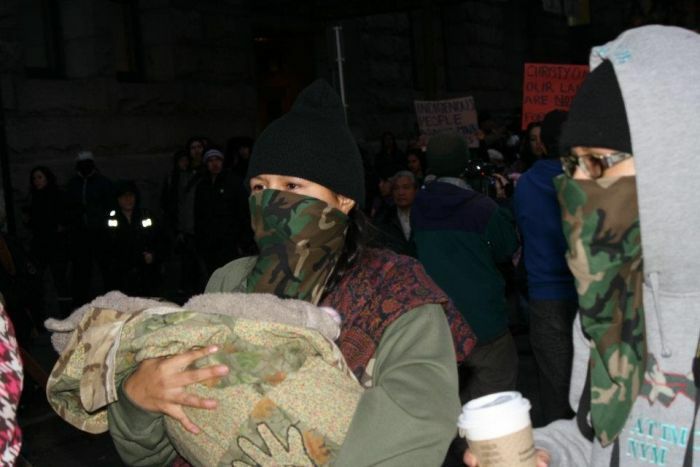 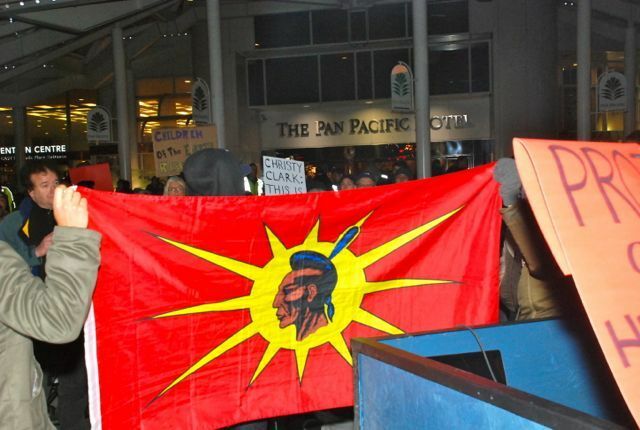 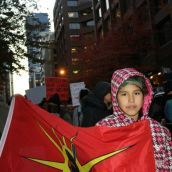 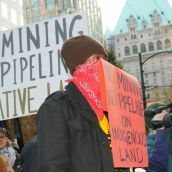 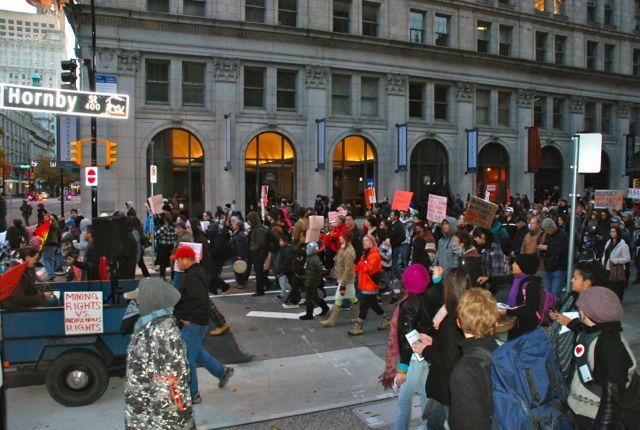 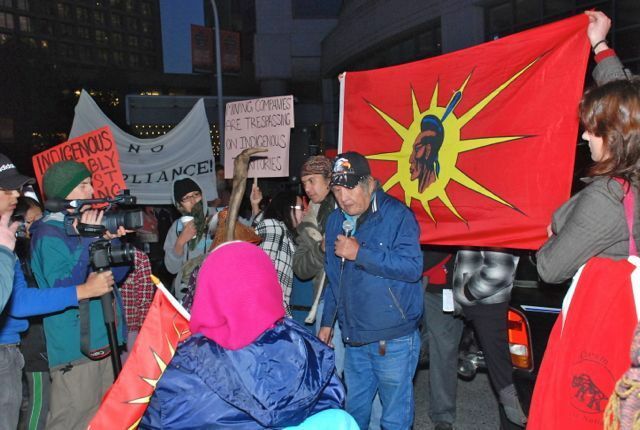 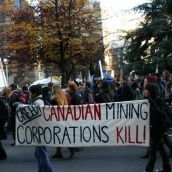 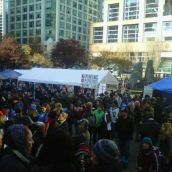 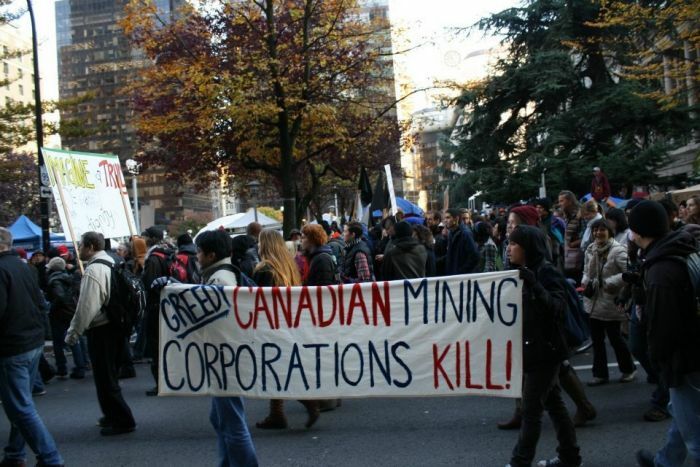 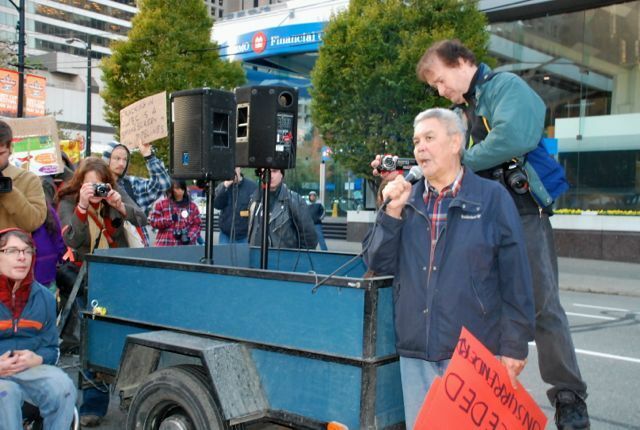 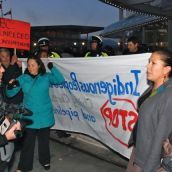 Over 400 people marched to oppose the Canadian Aboriginal Mining Association’s conference being held at the Pan Pacific Hotel this week. 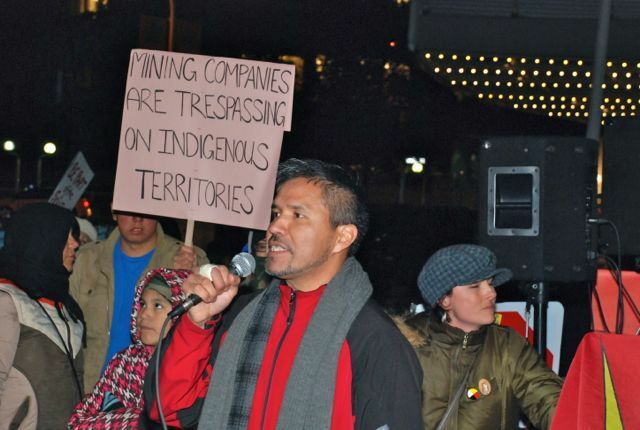 This pro-mining “Meeting Minds, Making Mines” Conference is seeking to create economic certainty for mining corporations operating on non-treatied unsurrendered native land. 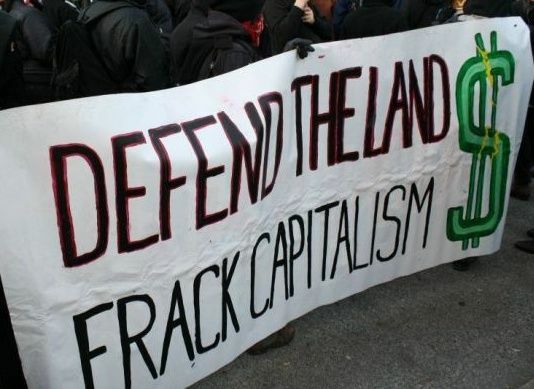 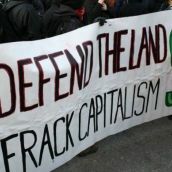 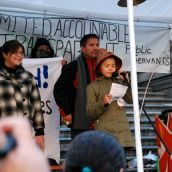 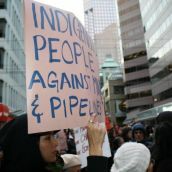 Grassroots Indigenous communities, however, are opposing these plans and came together in the Second Indigenous Assembly Against Mining and Pipelines. 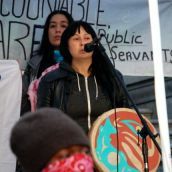 The Assembly includes grassroots community members of the impacted communities of the Saliammon, Secwepemc, Wet’suwet’en, St’at’imc, Tsimshian, Dakelh, Carrier, Nuxalk, Tla-o-qui-aht, Haida Gwaii, Nak’azdli, Nlaka’Pamux, Siksika, Ahousaht, Ktunaxa, and Sayisi Dene. 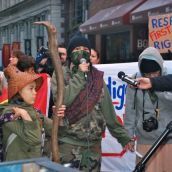 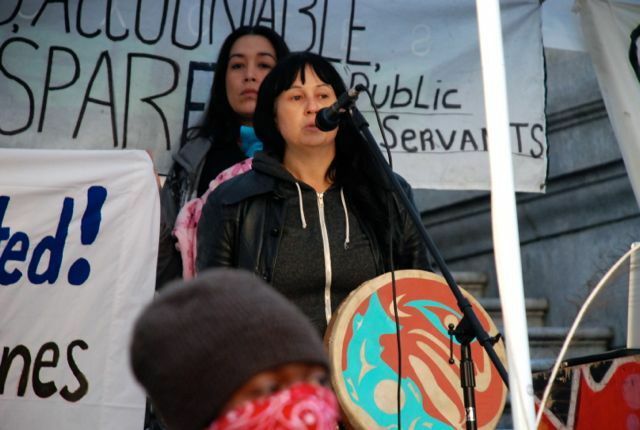 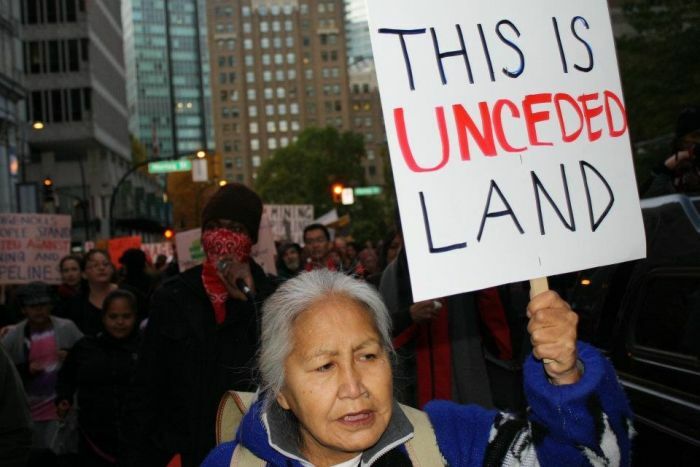 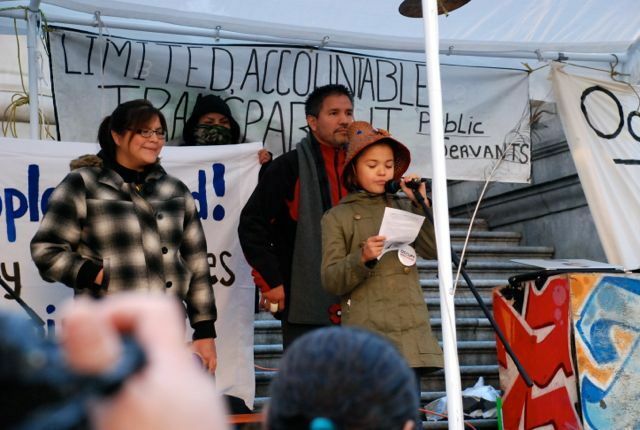 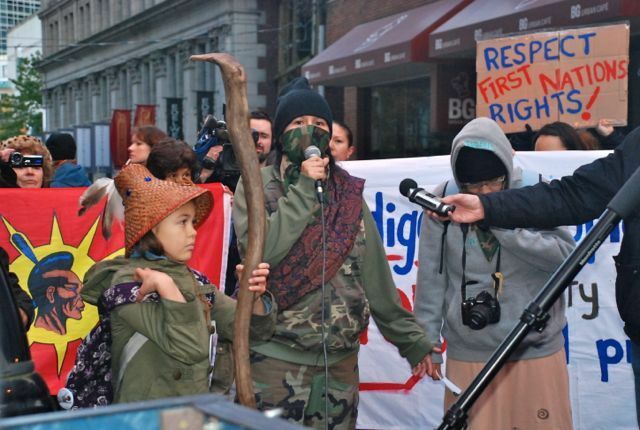 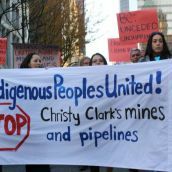 The plans of Christy Clark and the BC government to push mining (including eight new mines in four years) and pipeline developments into unceded Indigenous territories will fail. 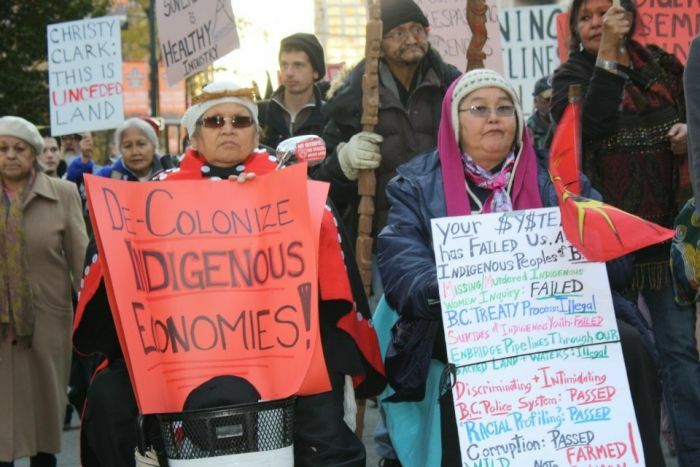 We are opposing these plans and will be protesting the Provincial and Federal Government for continually violating inherent Aboriginal Rights and Title. 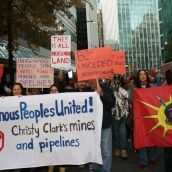 The BC government also hopes to proceed with a plan of signing ten non-treaty agreements to create economic certainty for corporations. 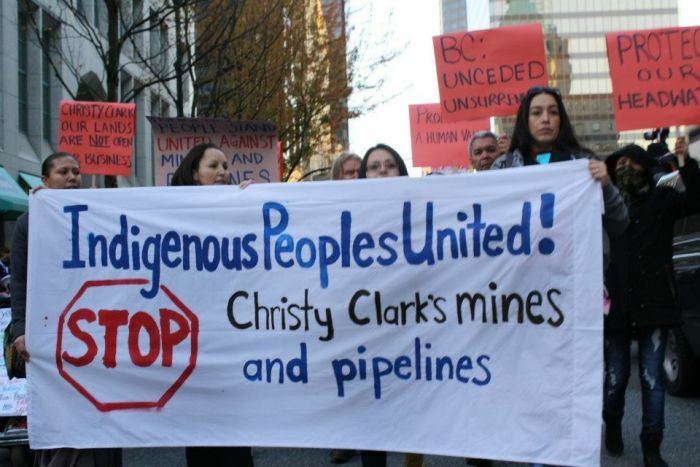 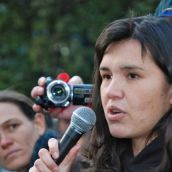 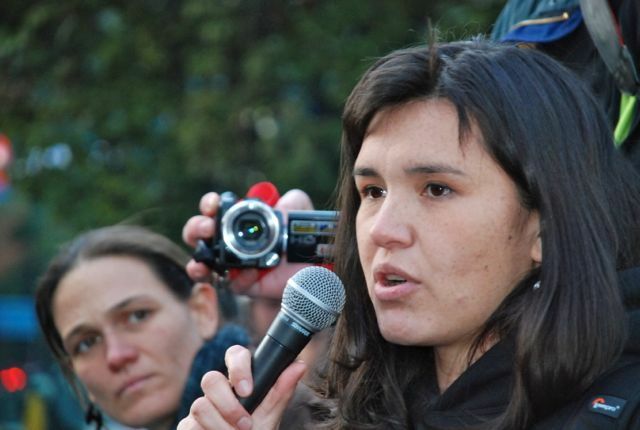 But Clark’s government has no jurisdiction to pursue her economic agenda without free, prior, and informed consent because we – grassroots Indigenous peoples – legally, politically, economically, spiritually, culturally, and inherently maintain Aboriginal title and jurisdiction over our territories. 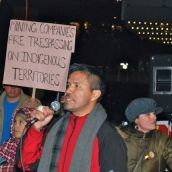 The promoters of the exclusive “Meeting Minds, Making Mines” Conference give the false impression that mining has broad support from Indigenous Peoples. 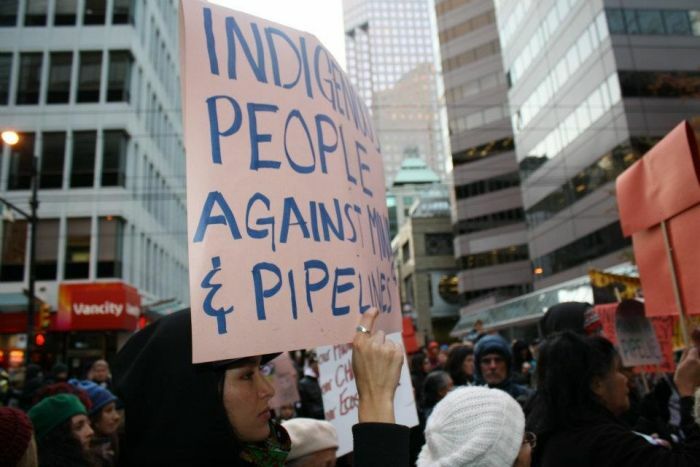 But there are only a small number of Indigenous Peoples benefiting from industrial developments. 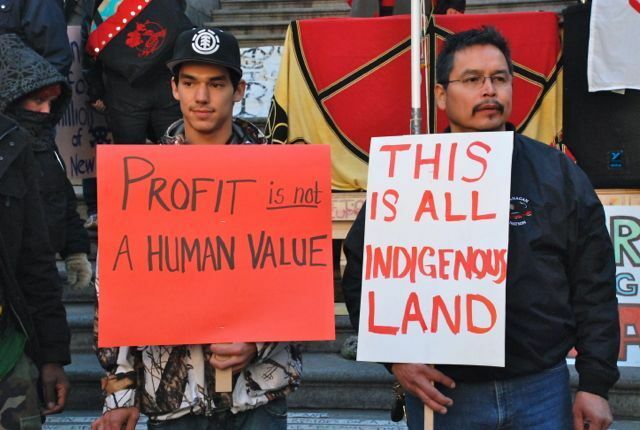 The meagre share of profits and the few jobs that are promised by corporations and the government are not worth the devastating impact on our water, salmon, food base, spiritual sites, cultural well-being, traditional livelihoods, children and future generations. 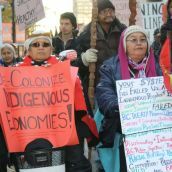 Indigenous Peoples are disproportionately impacted by industrial development with high rates of toxic waste, pollution and ill health in our communities, as well as systemic poverty through the encroachment into and destruction of our territories. 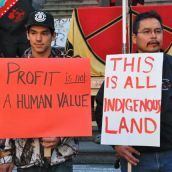 For this reason, we reject the short-term interests of profit that motivates those mining and pipeline developments that are trespassing on our unceded Indigenous lands. 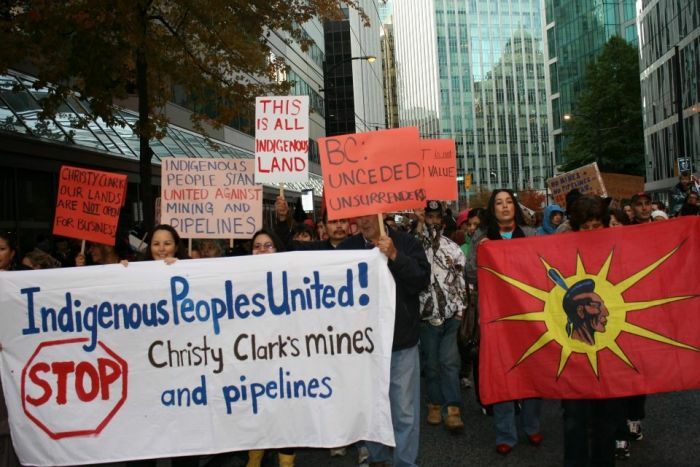 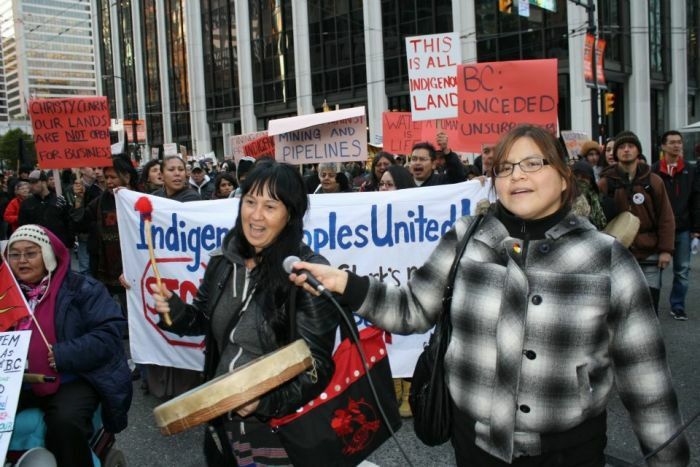 We are Indigenous People United Stopping Pipelines and Mining! 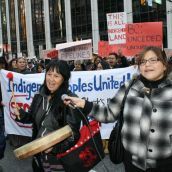 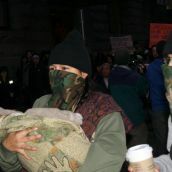 An honour to march with you all, for the protection of mother earth!